NEW DELHI: India loses agricultural produce worth over $11 billion — more than the Centre’s budgetary allocation for agriculture for 2017-18 — annually to weeds, according to a study by researchers associated with the Indian Council for Agricultural Research (ICAR). At $4.42 billion, the actual economic losses due to weeds were found to be highest in rice, followed by wheat ($3.376 billion) and soybean ($1.56 billion). However, the average yield loss is the lowest in rice – 14 per cent in transplanted rice and 21 per cent in direct-seeded condition. The overall loss went up because of high rice production in India, said the study, which appeared online in the journal Crop Protection, on Friday. The greatest average loss, on the other hand, was reported from groundnut cultivation, followed by maize and soybean. 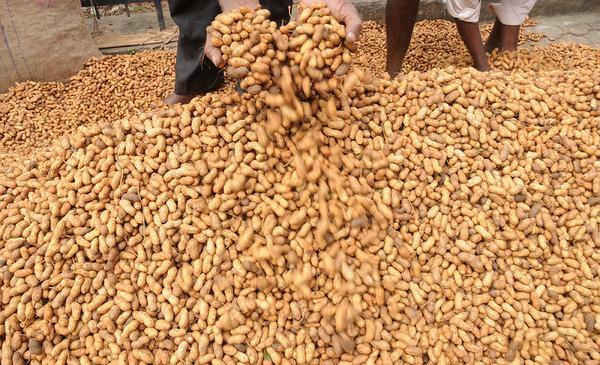 A groundnut farmer on an average lost 36 per cent of his crop to weeds, resulting in an estimated loss of $347 per hectare. The average losses in maize and soybean farming were $136/ha and $117/ha, respectively. The average yield loss in wheat was $116 per ha. The researchers, from the Jabalpur-based Directorate of Weed Research (DWR), estimated the economic losses using data generated by an all India co-ordinated research project on weed management, which carried out 1,580 on-farm research trials on 10 major crops at different locations in 18 States over a decade. “We arrived at these numbers by statistically analysing the data from this project in which 23 ICAR institutes were participating,” said RP Dubey, an agronomist with DWR and a co-author of the study. To calculate the actual yield loss, the scientists multiplied the difference in yield in weed-free situations and crop yield reported by farmers with minimum support price in respective States. “If more crops and locations are included, the losses may be much greater than what is currently estimated,” said Dubey said. The greater losses due to weeds could be good news for the herbicide industry. “We feel that proper weed management could bring down these losses substantially,” said PK Singh, officiating director of DWR and another author of the study. According to Singh, judicious use of herbicides can cost farmers just one-third of what they spend on manual weeding. Studies some years ago showed that globally, weeds are responsible for decreasing production of the eight most important food and cash crops by 13.6 per cent, leading to an economic loss of $100 billion.